Vics win Gold and Bronze Medals at the English Indoors! Fantastic results from the English Indoor Rowing Championships, held at the Manchester Velodrome. Vics sent a strong team of juniors (and some adults competed as well!). The team has done the club proud, with 10 Gold medals (WJ18 2k, MJ16 2k, WJ18 3k Team and MJ18 3k Team) and 6 Bronze medals in Open Lightweight 2k, Open Lightweight 500m and in the MJ16 3k Team (the latter was a great result because the team was entered as mixed with two girls and two boys but had no opposition and had to race as MJ16). The English Indoors brings in competitors from all over the country and Vics members raced against (and beat!) local rivals including Northwich, Grosvenor, Hollingworth Lake and Queens Park High School rowing clubs but also rowers from further afield including Scarborough and City of Cambridge. 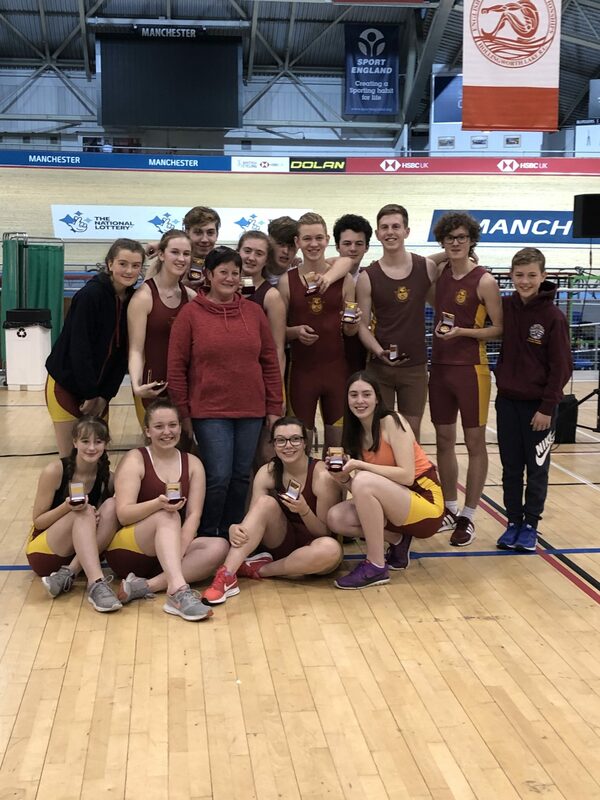 Well done to all those who competed, the foot strappers who went along to assist the teams and thanks to their coach Lesley Kuguloglu, who is building very competent and competitive rowers, who must do well in the new season. No Replies to "Vics win Gold and Bronze Medals at the English Indoors!"